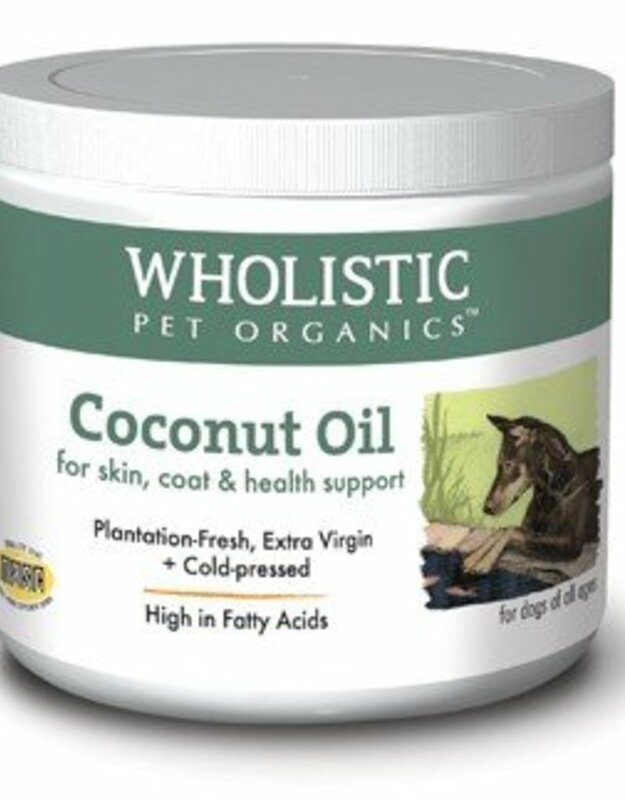 Wholistic Coconut Oil™ 100% Certified Organic, super-premium, extra virgin and non-genetically engineered. Sourced from plantation-fresh coconuts, Wholistic Coconut Oil™ smells and tastes of pure coconut! Helps support skin and beautiful coats, a healthy metabolism, and the immune and cardiovascular systems. Contains lauric acid which help aid in health-protecting properties. Wonderful as a soothing skin salve. Cold-processed, non-hydrogenated, liquid above 76° F. No refrigeration required. 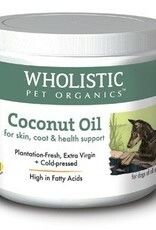 For product info, ingredients and directions for use, visit The Wholistic Pet website.